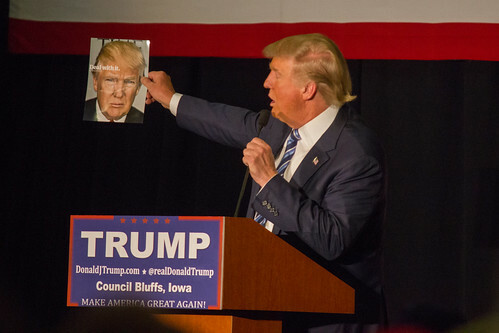 Presidential candidate Donald Trump holds up a magazine cover featuring himself while at a campaign stop at the Mid-America Center in Council Bluffs, Iowa. Please attribute to Matt A.J. if used elsewhere.